Despite explosive broadsides being fired at the Reserve Bank of Zimbabwe (RBZ) governor John Mangudya, the 55-year-old neoclassical economist-turned banker will stay on in his job until February 2023. In an exclusive interview with the Daily News on Sunday, presidential spokesperson George Charamba said the appointing authority — President Emmerson Mnangagwa — extended Mangudya’s tenure — taking him through his second and final term. 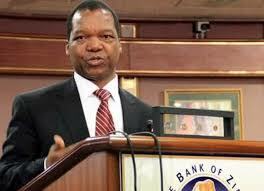 In terms of the RBZ Act, a governor holds office for a five-year period, which may be extended upon its expiry. The Act goes on to say no person shall hold office as governor for more than two terms or for a period which, in the aggregate, exceeds 10 years. Mangudya took over from Gideon Gono as RBZ governor in March 2014. He was widely expected to be eased out of office at the expiry of his first term despite traditional protocol that saw all the post-independence governors namely Kombo Moyana, Leonard Tsumba and Gono seeing out their full two terms. This was after the apex bank boss, along with Finance minister Mthuli Ncube, came under heavy criticism last month after foreign currency rates soared on the parallel market, resulting in a wave of price increases and widespread shortages of basic commodities. Daggers were then drawn out against him after a Communications Taskforce appointed by Ncube and headed by Acie Lumumba made shocking claims last week that the central bank was engaged in money laundering and aiding and abetting the foreign currency black market. In the wake of the damning allegations, Mangudya suspended four senior directors at the bank accused by Lumumba of engaging in serious misconduct. Charamba said Mnangagwa has fully satisfied himself that Mangudya was a man of good standing, challenging anyone with evidence against him to tender it to the police or the investigating authority. “Those are mere perceptions; you mere mortals can speculate and perceive, we have all the information,” he told the Daily News on Sunday. “…I am not even applying myself to those allegations because they were not made in a competent court, you see. When we are appointing an authority, we do it on the basis of facts not on the basis of perceptions. Charamba also commented on speculation that was linking the executive director for Africa at the World Bank Group Andrew Bvumbe, whose departure from the Washing DC-headquartered institution was confirmed this week, to the RBZ. “But anyway, why is there that misconception that when you come back from the World Bank, you must be landed with the post of governor? This guy is an MSc; Mangudya has a PhD. Which is a higher qualification, what is the point?” Charamba asked rhetorically. He also rubbished claims that Mnangagwa was looking to replace Mangudya with FBC bank chief executive officer John Mushayavanhu. “Comrade, there is no vacancy. The point is that, thanks to you guys, he (Mangudya) is assured of a second term, which is a constitutional limit,” Charamba said. The presidential spokesperson had no kind words with those calling on Mangudya to step down. He emphasised the importance to the country of continuity at the central bank, which he said was engaged in delicate talks with crucial lenders on the implementation of the country’s bailout, with creditors pushing Harare to respect past pledges to fire civil servants and stick to unpopular tax rises. Charamba said Mnangagwa was delighted that the governor has agreed to stay in his role for a further four years to provide vital stability for the economy. He revealed that when the rumour that Mangudya was being fired started circulating on social media, there were serious threats on the lines of credit that were on the verge of being signed for the country. Asked if he was referring to the Cairo-headquartered African Export Import Bank (Afreximbank) that is finalising a $500 million loan facility for Zimbabwe to help secure payments for essential imports and to promote exports as well as restore foreign currency liquidity and stability in the market, Charamba said: “No, why Afrexim? Calls were coming from many banks in the region and Afrexim was just but one of the many. It’s a serious matter even from within the region. ‘‘There is a facility we are working with within the region which was being imperilled by this kind of talk,” he said.